Database administration can be a tedious, mundane but important task that is crucial to any organisation. After all, any glitches could break an application, with ramifications on business processes, customer service and security. At a time when customer expectations are growing and businesses are undertaking various digitalisation initiatives, it has become even more important for organisations to keep their databases in order. 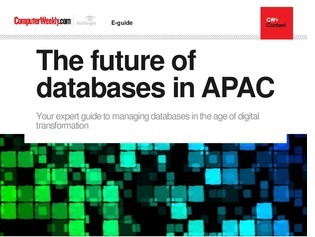 In this e-guide, read more about the promises of autonomous databases, why relational databases are poor at running digital transformation projects, and why Amazon Web Services decided to switch off its Oracle data warehouse.